DRUMMONDVILLE, Que. - A Quebec coroner is recommending an overnight driving curfew for motorists between the ages of 16 and 24. Yvon Garneau wants the curfew to be in effect between midnight and 5 a.m., although he is suggesting there be exceptions for work and study purposes. Garneau released the recommendation today after his investigation into an accident that killed four Quebecers between the ages of 17 and 22 last October. 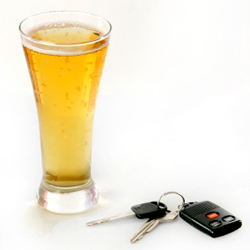 Toxicology tests revealed that the driver's blood-alcohol level was nearly twice the legal amount. A police investigation also determined he was going 140 kilometres an hour in a 50-kilometre-an-hour zone. Garneau says a curfew exists in Ontario between midnight and 5 a.m. for certain categories of driver's licences. The coroner says Quebecers between the ages of 16 and 24 are responsible for one out of every two speeding incidents in the province. They also receive 34 per cent of fines for excessive speeding and are involved in one-quarter of accidents where injuries occur.